If you’re one of the many movie-goers who experienced the recent theatrical launch of Godzilla, and you’ve been left wanting more, you can get that ‘more’ with Godzilla – Smash3, the monster’s mobile gaming debut on iOS and Android devices. 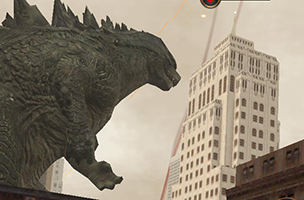 Released by Rogue Play, and developed by Pipeworks Software, the game sees players destroying the city as Godzilla, rather than protecting it from harm. Godzilla – Smash3 is a level-based experience, with each stage asking players to tap and drag their finger across colored orbs to make matches of three or more. The more orbs connected in a single move, the more powerful Godzilla’s attack, with the color of the matching orbs also relating to the strength of the attack. In addition to basic attack orbs, the screen is also filled with healing orbs and atomic breadth orbs, among others. These atomic symbols can be activated in bulk for a massive attack on a single enemy. Godzilla becomes stronger as players complete levels, and gamers have the chance to assign that strength to three tiers: basic attack, health or special attack. Depending on the player’s choice, these boosts can make battles much easier to complete. Gamers have access to 80 levels at launch, with Facebook integration allowing users to compare their scores with their friends. Users earn up to three stars on each level, and can replay stages in order to increase their high scores or earn missed stars. Godzilla – Smash3 is now available to download for free on iOS and Google Play. The app’s hefty graphical requirements limit its supported platforms, as the game is only compatible with iPhone 4S+, iPad3+ and iPod Touch 5th Gen. Check back soon to follow the game on AppData, our tracking service for mobile and social apps and developers.